AIANO THG range of tubular heater guards are the original non-thermostatic tubular heater guards for tube heaters without thermostats.. Designed and refined over many decades, the AIANO THG is perfectly suited for use with traditional non-thermostatic tube heaters such as those made by Thermotube, Hylite and others. 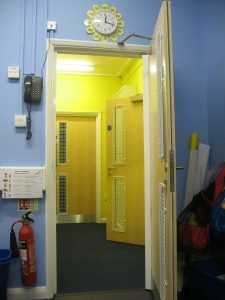 In addition, AIANO THGs are the perfect solution for guarding heating pipes in churches and sports changing rooms. 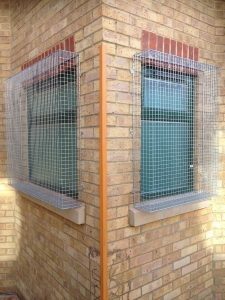 What is the AIANO THG range of tubular heater guards? The AIANO THG range of non-thermostatic tubular heater guards were specially designed to make a perfect fit for traditional tubular heaters. 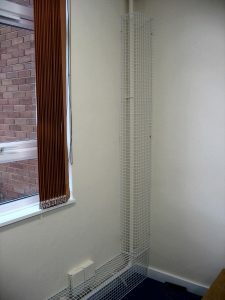 Each size of THG guard is the perfect fit for the equivalent non-thermostatic heaters such as Thermotube. 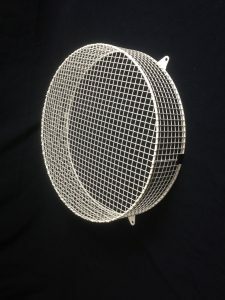 The guards a relight but strong, compact, easy to install, and the open mesh design allows for optimum heat circulation. * Aiano Classic THG range of tubular heater guards is compatible with the Thermotube family of tubular heaters and most non-thermostatic tubular heaters on the market. Please contact us for more advice. Aiano’s non-thermostatic tubular heater guards are suitable for most makes of classic tubular heaters without thermostats, including Thermotube. 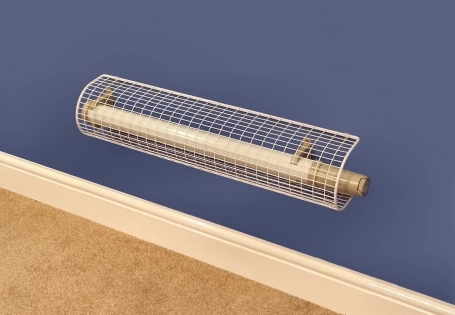 Classic Tubular heater guards can also be used for protecting heating pipes. 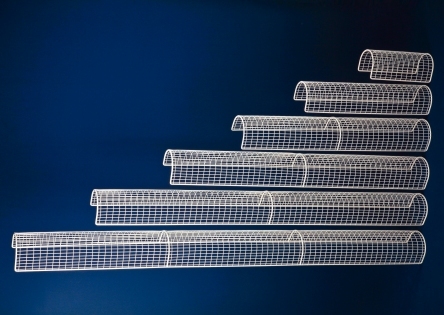 The guards come in exact lengths of 1ft, 2ft, 3ft an so on up to 6ft, making it easy to calculate the lengths required for guarding continuous pipes. They can be easily installed end to end. And corner sections can be manufactured on request. The Aiano Classic non-thermostatic tubular heater guard design is strong and attractive. The Aiano non-thermostatic tubular heater guard come supplied with movable fixing clips for convenient installation. Aiano tubular heater guards are durable and attractive, and, because they follow the contours of the tubular heater, there are no sharp edges that could cause injury.Due to their open design they offer the optimum heat circulation. 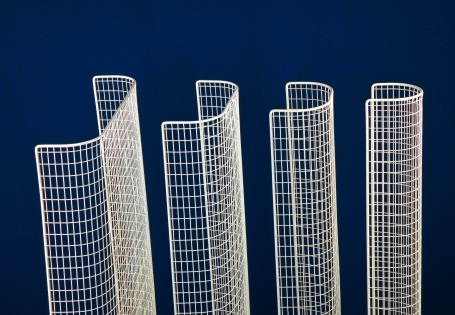 What are our non-thermostatic tubular heater guards made of? 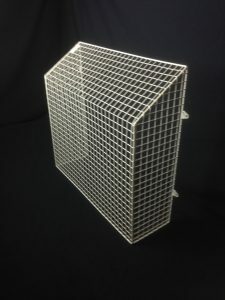 Aiano tubular heater guards are made from 1 x 1/2″ 16 gauge (25mm x 13mm x 1.63mm) weld mesh on a 5 gauge (5.38mm) round bar frame. 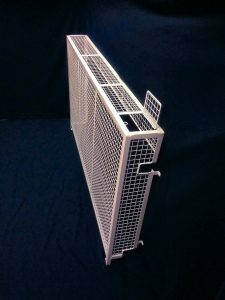 The tube heater guards are powder coated cream after manufacture. 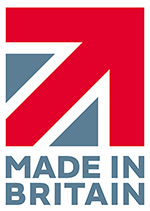 All Aiano wire guards are made in our London workshop with pride from British and European steel.